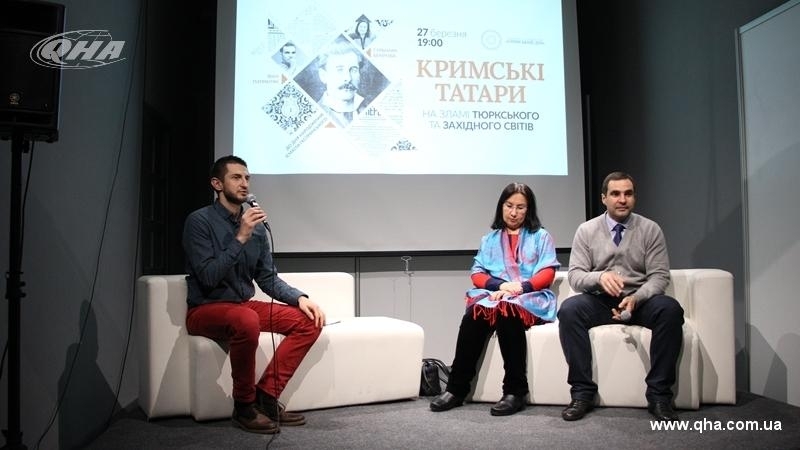 İsmail Gasprinskiy, Crimean Tatar enlightener, cultural and political figure, played an important role in the development of the Crimean Tatar nation, the Ukrainian historian Ivan Patrylyak said at the public discussion on İsmail Gasprinskiy birthday in the Crimean House. The discussion was held with the participation of well-known historians including Gulnara Bekirova. “He is a very important, large-scale figure for the Crimean Tatars, a man who combined many of the iconic traces necessary for the formation of a modern nation. He is a person who both studied Crimean Tatar ethnos, and was engaged in enlightenment of the people, that is, the formation of what is called a modern nation of non-state ethnic groups. Gasprinskiy to some extent was a combination of Shevchenko, Maximovich and Kostomarov, if compared with Ukrainian key figures. It is difficult to imagine the Crimean Tatars to have formed into a modern nation without such a figure. He did revolutionary things in education and science, literature, print media, translations. It was not easy, to go against a generally conservative society and open for it models of education borrowed in the West, for example,” told Patrylyak to QHA correspondent. According to the historian Gulnara Bekirova, Gasprinskiy became a figure who was ahead of his time and was able to lead the Crimean Tatar nation in the right direction. “Thanks to the Gasprinskiy Crimean Tatars, both then and today are formed as a political nation. It's amazing when one person can do so much for the nation. There are figures that epitomize, in a sense, their time and epoch, and are the locomotive of the nation's movement forward, Gasprinsky became such a figure 100 years ago and continues to be such a figure," she said. Earlier, historian Andreii Ivanets told what the Crimean Tatar women faced in the early 20th century and how they sought to respect their rights on the peninsula.